The KE4 Tour Hybrids feature stand alone performance but were also designed to compliment both the KE4 Tour and KE4 Forged iron models by providing an easy to hit replacement for long and mid irons. With a slightly deeper face height, square set up and decreased head volume preferred by traditionalist and better players, the KE4 Tour hybrids still provide unparalleled performance benefiting any caliber of player. Regardless of the face height or volume, Advanced Shell Technology insures the proper mass distribution for optimum performance. Dual Sole Rails and the adjustable weight screw locates mass low and rearward, increasing MOI and lowering the vertical center of gravity (.785”) well below the golf balls equator for increased stability, forgiveness and distance control. 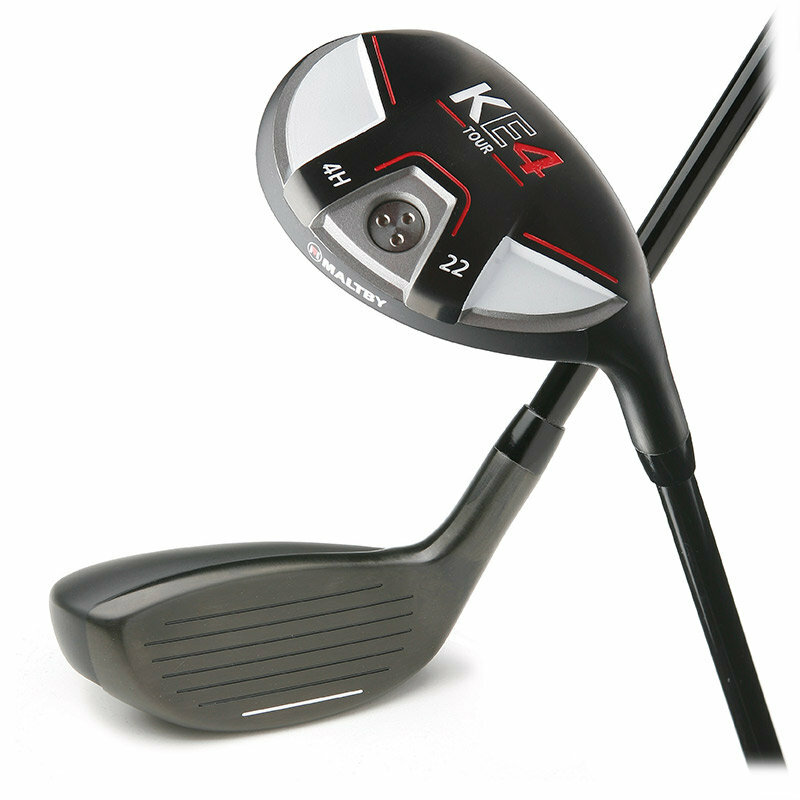 Designed for modern standard playing lengths (40.5”- 19º, 40” – 22º, 39.5” – 25º) the KE4 Tours interchangeable weights allow for multiple playing lengths and shaft weights to ensure precision gap fitting when transitioning from irons to fairway woods.